1) Pseudo-historical 12th Century soap-opera The Pillars of the Earth (2010) was a bit of a damp squib Dickie-wise, because [SPOILER!!!] her character died about halfway through the first episode. While I was disappointed to see her depart so soon, I was grateful that I wouldn’t have to endure another seven episodes of that show’s slipshod storytelling, as the writers strained credulity in order to bring Rufus Sewell’s humble stone-mason (“Tom Builder”) into consecutive contact with the major players on all sides of the brewing civil war. Meh. 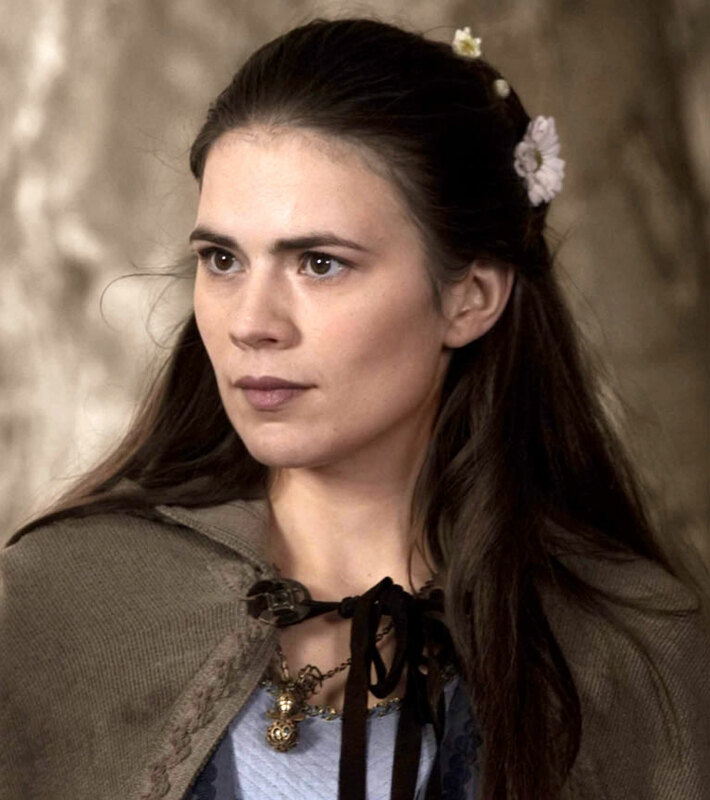 That said, fans of Marvel’s Agent Carter might get a kick out of seeing Hayley Atwell playing a feisty young noblewoman, who isn’t afraid to swing a candlestick at unchivalrous suitors! 2) Dickie had a much more substantial starring role in Couple in a Hole (2015), playing the agoraphobic wife of a traumatised couple who’d taken to living in a manky cave in the middle of a French forest, after a freak tragedy brought their family holiday to an abrupt end. This is the sort of film where you can still admire the incredible commitment, courage, and talent of the cast (particularly Dickie and Paul Higgins, who played her slightly more sociable husband), even as the story gets progressively sillier the more we learn about their predicament, and the further they venture away from their “hole”. 3) When I read that the multi-award-winning Red Road (2006) was set around a rundown high-rise estate and shot “largely in a Dogme 95 style, using handheld cameras and natural light”, I expected it to be a rather grim and ugly affair… but the cinematography is actually surprisingly beautiful, and a credit to its BAFTA-approved director Andrea Arnold. Dickie aces the lead role of a vengeful CCTV-operator stalking a recently-released criminal, on a self-destructive and nerve-wracking quest to put him back behind bars where (she believes) he belongs. It wasn’t an easy film to watch, and it certainly isn’t my usual idea of “fun”, but there’s no questioning the quality of the performances, the spiky energy of the screenplay, or the originality of the premise… so kudos all around. Fun fact: This was the first instalment of a planned trilogy of films, utilising the same pool of characters, but each made by a different first-time director. The second instalment, Donkeys, was released in 2010, but the third part is apparently stuck in “development limbo”. 4) Outcast (2010) was kinda like a sub-par Scottish take on Let The Right One In, except with a furless-werewolf-boy instead of a vampire-girl, and lots more witchcraft around the edges. I can’t say I totally understood the storyline/mythology that they were spinning, but Dickie had some great scenes as the over-protective (incestuous?) mother of a mass-murdering monster, using various spells and hexes to hide him from encroaching hunters. There’s also a brief cameo by Karen Gillan as a local girl who crosses paths with the main characters, but she doesn’t really get enough screentime to make this a must-see for her fans. 5) I’d been meaning to check out Irvine Welsh’s Filth (2013) for a while now, but this little “festival” gave me the incentive to fast-track it… and I’m very glad I did. Although I’d personally rate Trainspotting and Wedding Belles ahead of this film, thanks to their more engaging characters and involving storylines, it’s still a very stylish and eye-catching entry in the oeuvre, with some typically dark and amusing bits that stay snagged in your brain for a long time after the credits roll. James McAvoy stars as an ambitious and conniving Detective Sergeant slowly losing his grip on sanity, while Dickie plays the wife of one of his colleagues/rivals, with whom he is having a sadomasochistic affair. He also makes sexually-explicit “prank” phone-calls to the glamorous trophy wife of a nerdy-but-rich Masonic brother, played by a glammed-up Shirley Henderson! Hotcha. 7) Dickie was back on the wrong side of the law in The Vice (ep #5.3) (2003), where she played ‘Beverley’, a “clapped out” prostitute in a loving partnership with a young rent-boy! To be honest, I couldn’t really get into the other storylines, and started fast-forwarded through the bits she wasn’t in… until I spotted another familiar face: Meredith MacNeill, making her screen debut as ‘Tina’, a hypno-therapist helping one of detectives with his smoking habit, by sexing his unhealthy cravings away! She only had one scene here, but it was fun to hear her rocking an English accent for a change… not that there’s anything wrong with her natural one, of course. 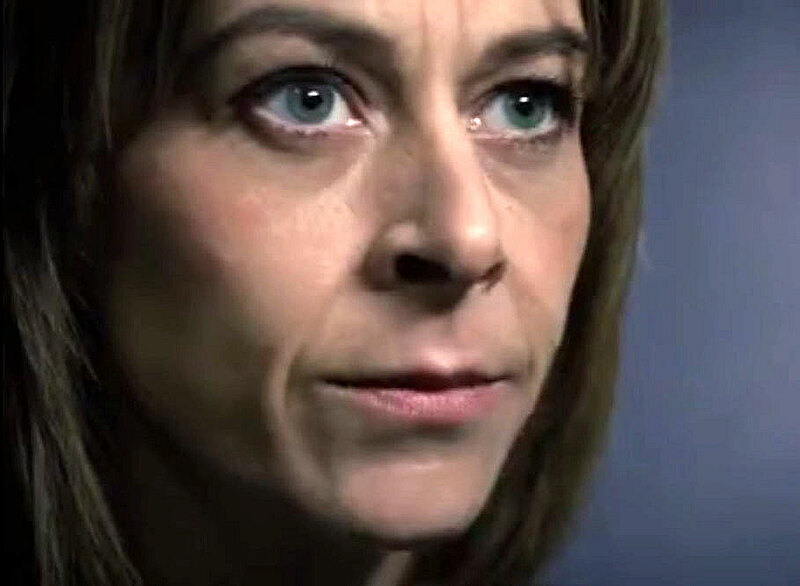 8) Sticking with the procedurals, Dickie also had a pretty meaty role in an episode of New Tricks (#9.10) (2012), playing ‘DCI Fiona MacDougall’, who was looking to establish a branch of the UCOS (“cold case” squad) in her home city of Glasgow, with the help of a couple of series regulars. Although my parents are fans of the show, I hadn’t seen it before, and was pleasantly surprised by how twisty the plot was, and how enjoyable the character interaction was… especially considering how “long in the tooth” the series was by this point! Sadly this episode wasn’t a “backdoor pilot” for a Scottish spin-off, so we won’t get to see MacDougall again… but Dickie did a great job with the character, slowly revealing her ulterior (and deeply personal) agenda, as the suspicious Sassenachs chewed away at a far-reaching conspiracy. 9) Last, and almost certainly least, is Not Another Happy Ending (2013), a non-rom-com starring the aforementioned Gillan as ‘Jane Lockhart’, an adorable Glaswegian author struggling to complete the follow-up to her breakthrough “roman-à-clef” novel, so that she can free herself from the handsome-but-arrogant editor she’s secretly fallen in love with. Meanwhile, said editor is conniving to make her as miserable as possible, in the bizarre belief that this will cure her writer’s block! Eurgh. None of it made any damn sense, and no one behaved like a relatable human being… but Gillan still managed to wring a couple tears out of me, through the sheer power of her acting (and, on a more superficial note, she looks unbelievably beautiful here… especially when she’s rocking that long bowl-shaped fringe… sigh…). Meanwhile, Dickie has a minor role as ‘Anne Lefevre’, the editor’s no-nonsense accountant… and Amy Manson has a confusing/distracting role as ‘Darsie’, the hallucinatory manifestation of Jane’s fictional alter-ego, who appears occasionally to goad the author, and make her look like a crazy person in public. In conclusion: Dickie is an incredibly natural actress… the kind that never seems to be “acting” at all, but simply embodies her characters, as if she’s lived in their skin all her life… and always delivers a five-star performance, regardless of the overall quality of the production in which she appears. She’s a total sweetheart to boot, of course, so snaps to her for all that! This entry was posted in Rants about Films, Rants about TV and tagged Amy Manson, Andrea Arnold, Couple in a Hole, Filth, Garrow's Law, Hayley Atwell, Karen Gillan, Kate Dickie, Meredith MacNeill, New Tricks, Not Another Happy Ending, Outcast, Red Road, Shirley Henderson, The Pillars of the Earth, The Vice. Bookmark the permalink.